You can download the sale results for This BBR Sale direct from their website. The assemblage looked quite well balanced with offerings from most bottle and advertizing categories. From the Dorset perspective there were two items which caught my eye from the sale. 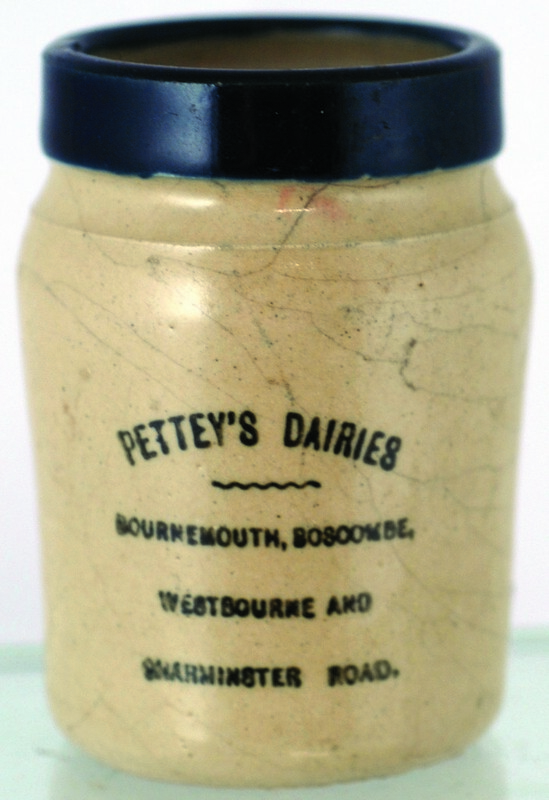 A rather scarce Pettey’s dairies cream pot Lot 26 made a healthy £90 and Lot 166 the iconic F.W. Edwards Cyclists Favorite Ginger beer Dorchester £42 which seemed quite reasonable.